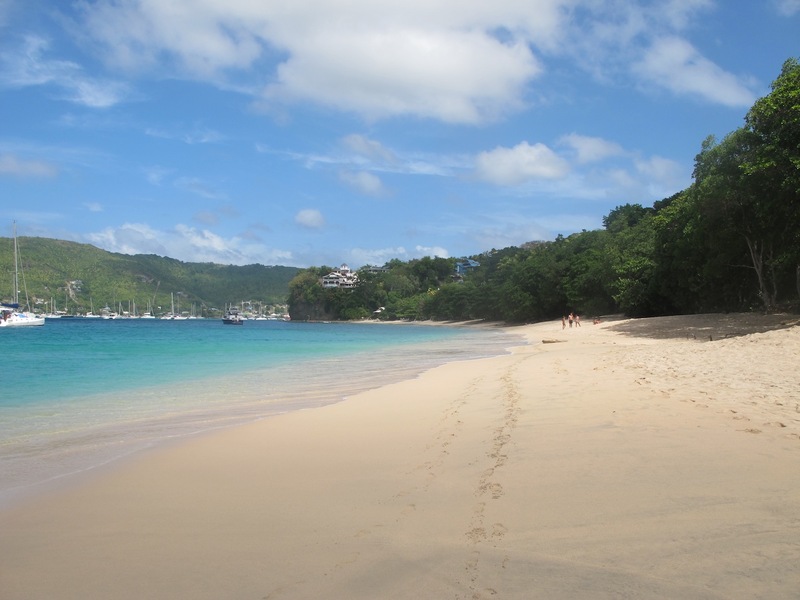 Ahh, Bequia (pronounced Bek-way) we’ve fallen in love with you! 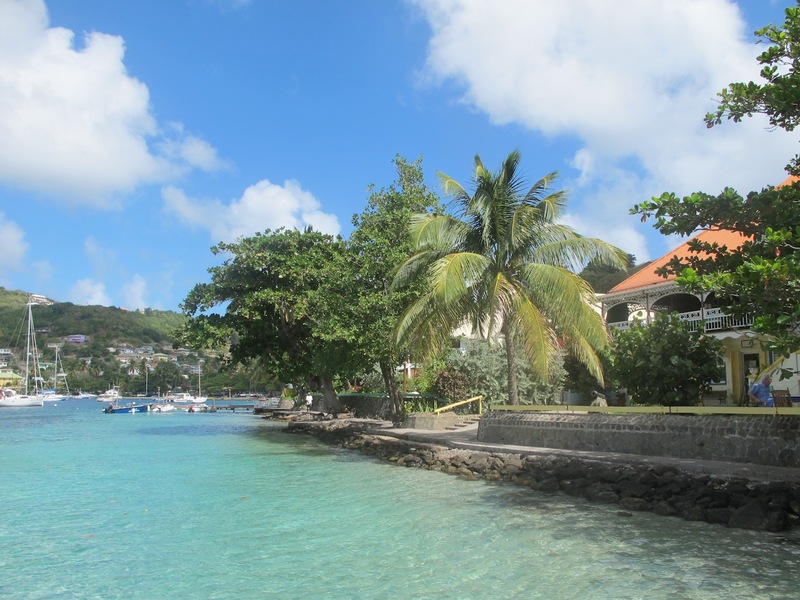 Bequia is the northernmost of the Grenadine Islands, but as St Vincent & The Grenadines are all one country, thankfully we get a break from clearing in and out of customs for a while. The islands are also closely spaced, so it only takes an hour or two, or less to sail between them. 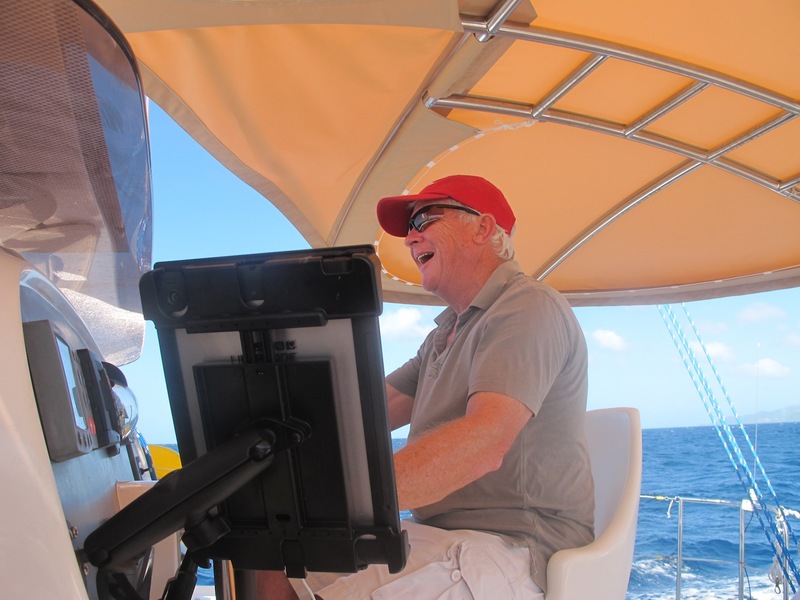 We left Blue Lagoon at St Vincent on 7th January and after a very pleasant hour and a half of sailing with the wind on our quarter we were moored up in Admiralty Bay, near the Frangipani Hotel. What a pretty spot! Of course we were approached by the ubiquitous boat boys to ‘assist’ us in picking up a mooring and who also took our mooring fee. It’s very hard to know if you’re giving your money to the right people, or just being scammed. On this occasion it seems we’d given it to the local drunks and we then watched in amusement as they were chased around the anchorage by the rightful owner ‘African”, a very large and imposing man who we were sure would have no trouble getting his money back. 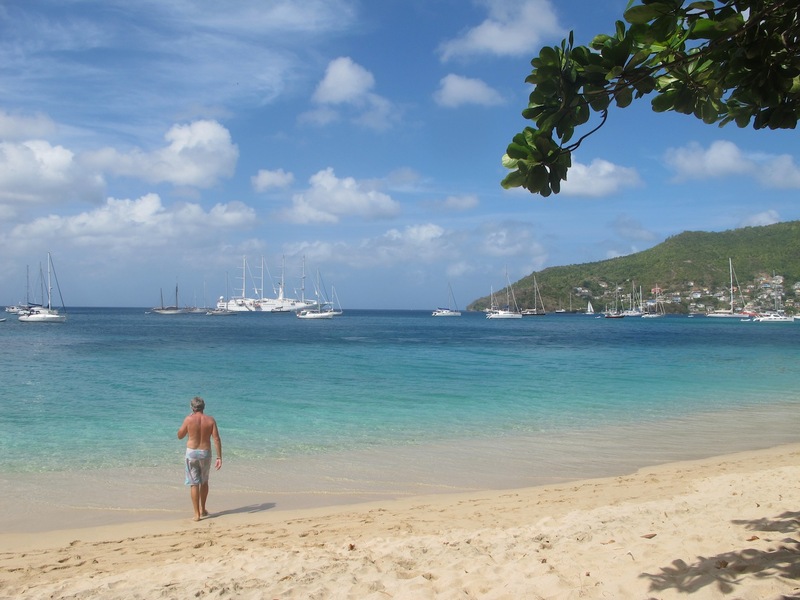 We stayed a week in Bequia just because we loved it so much. 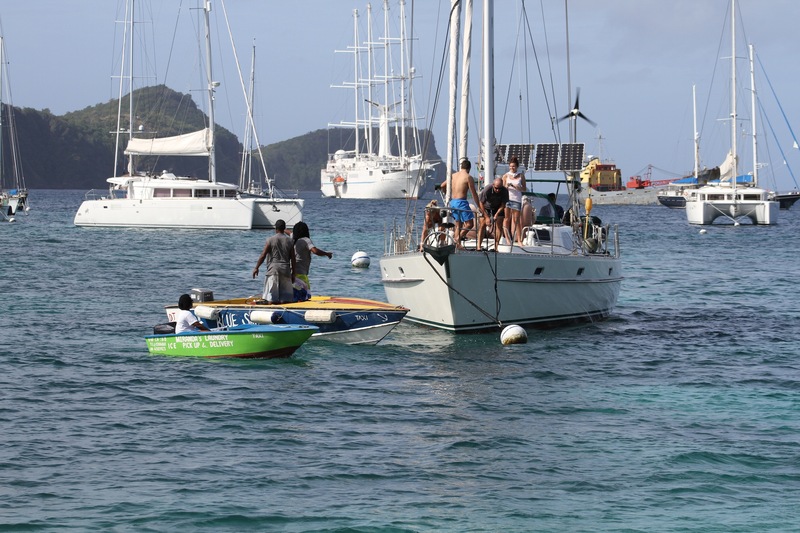 The place is geared to yachties with several operators offering on-water services such as laundry, ice, water and diesel. 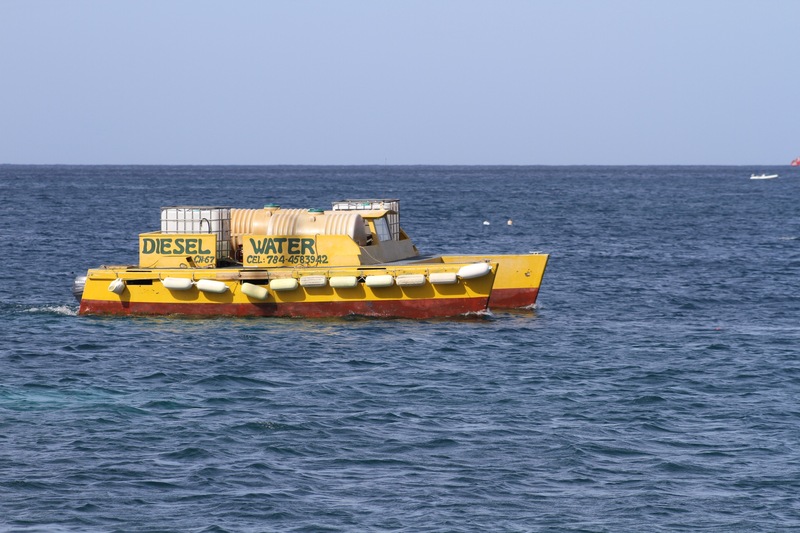 There are plenty of vendors offering fish, lobsters and fruit. 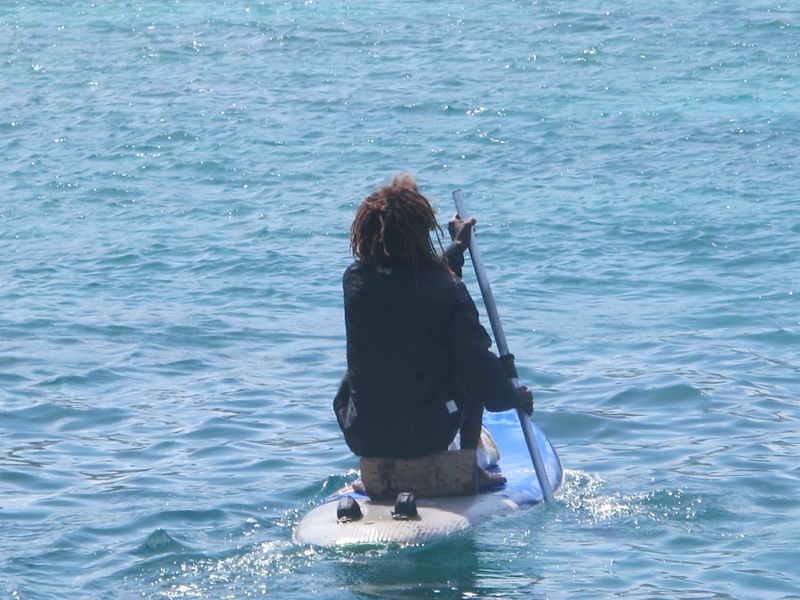 John was one such vendor who paddled out on his board offering bananas, limes and ice. 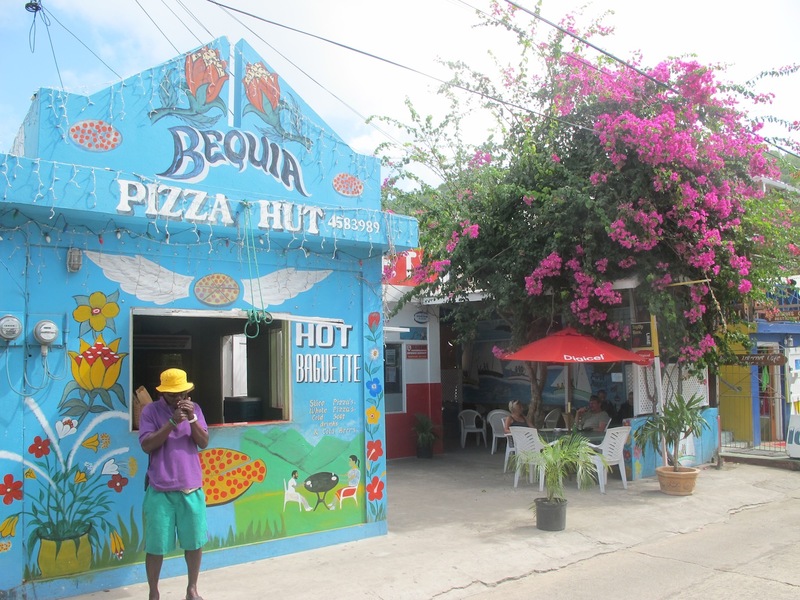 We bought a few things off him until we spoke to a local restaurateur who warned us off giving him business as he wasn’t a local but a blow-in from St Vincent. Everyone it seems is trying to protect their patch. John, the ultimate salesman who always had ‘the last’ of everything! 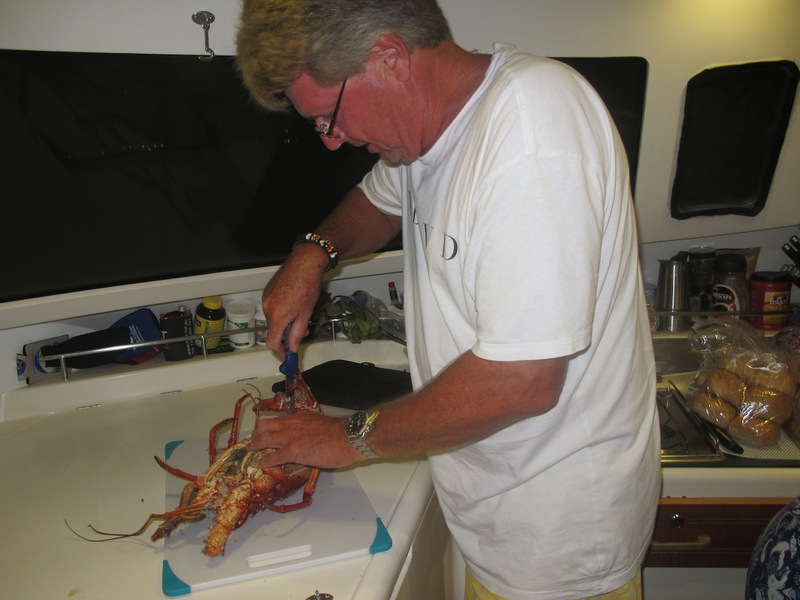 The first night we decided to treat ourselves to a lobster dinner on board. 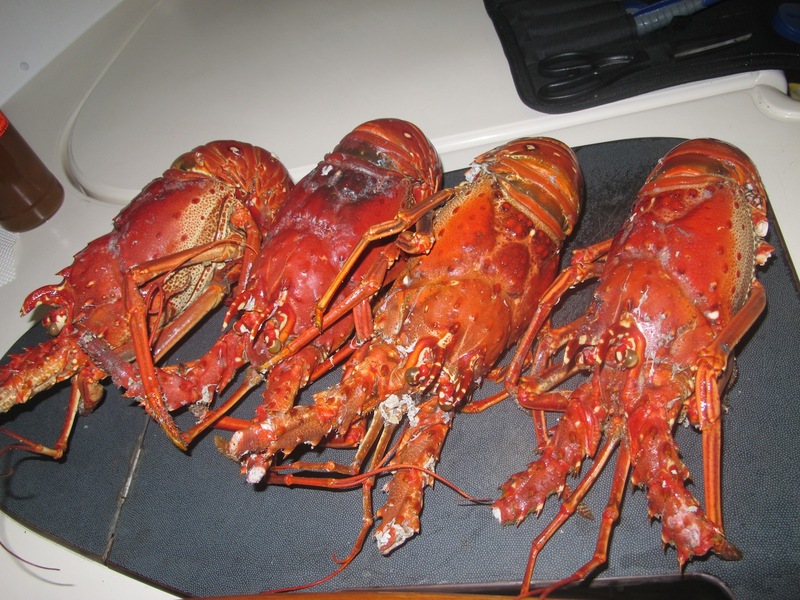 The going price for a cooked lobster was approximately AUS$7 per pound. So for a very reasonable price we bought 4 large lobsters to share between us and had a wonderful feast in the cockpit. 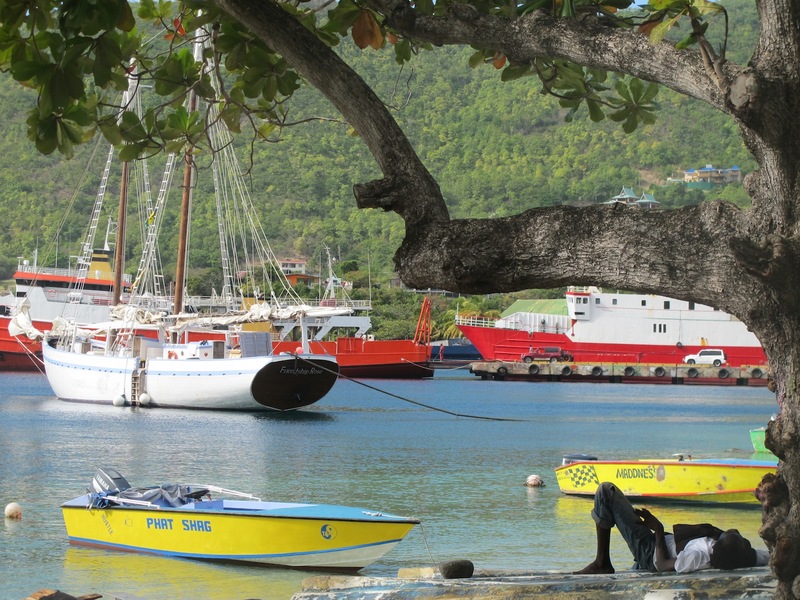 The waterfront is dotted with bars and restaurants and the township has a very laid back and friendly feel to it. 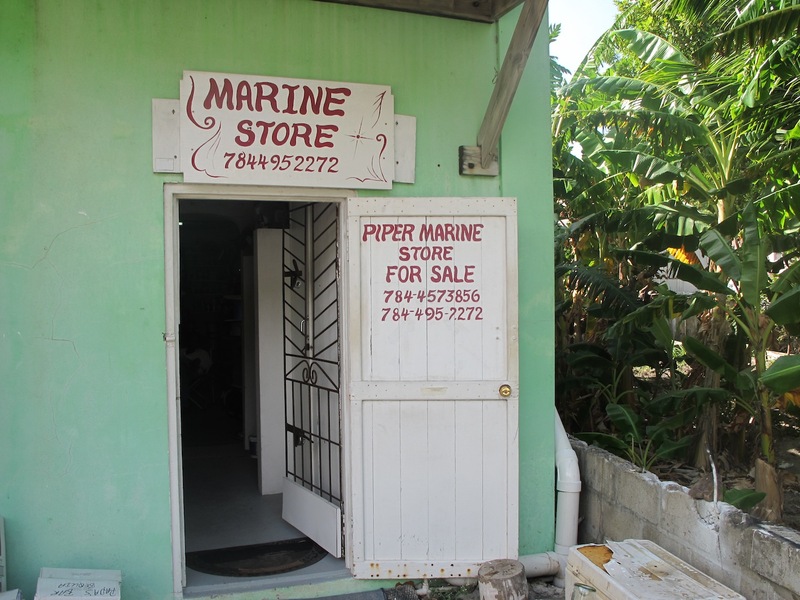 The local chandlery, anyone want to buy a business in Bequia? 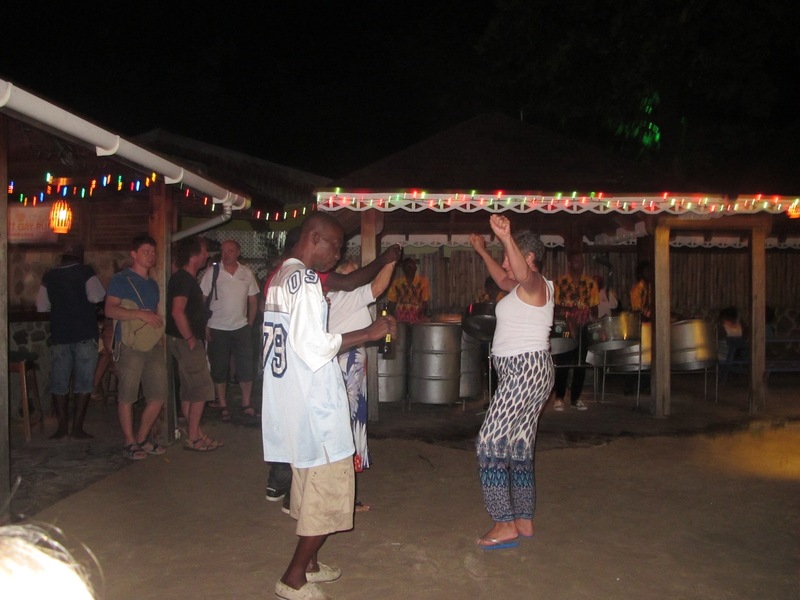 Provisioning was a whole entertainment in itself, with the local rastas at the fruit market plying their wares and competing for attention, with fabulous names like Mr President, Sunshine and Elvis. 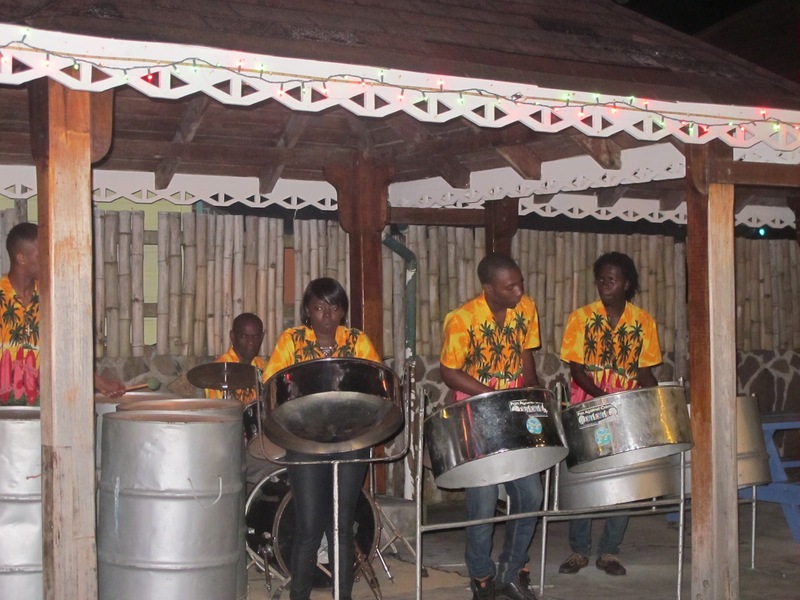 We enjoyed a couple of meals ashore, and danced the night away to the local steel band at Frangipani. 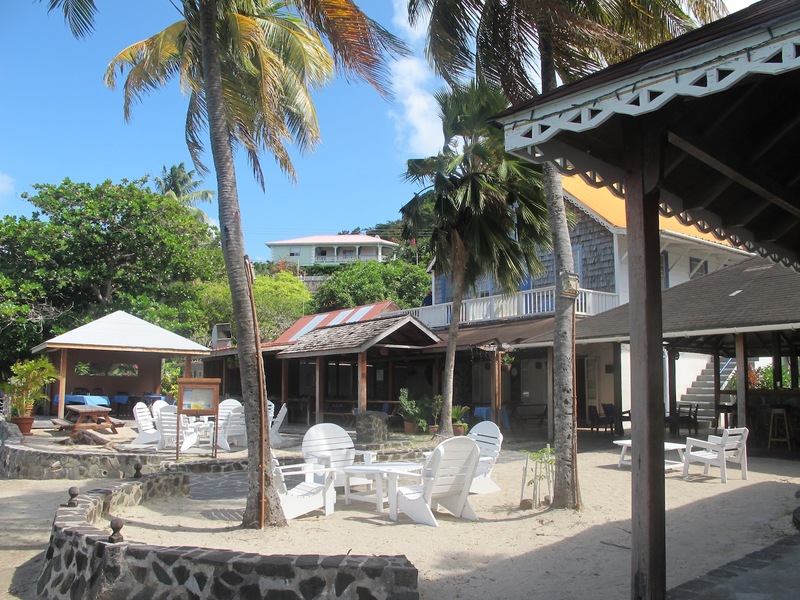 Just around the corner from the main bay is Princess Margaret Bay, a beautiful white sandy beach with the rather upmarket ‘Jack’s Bar” tucked in the corner where several of our crew spent many happy hours imbibing the local cocktails! 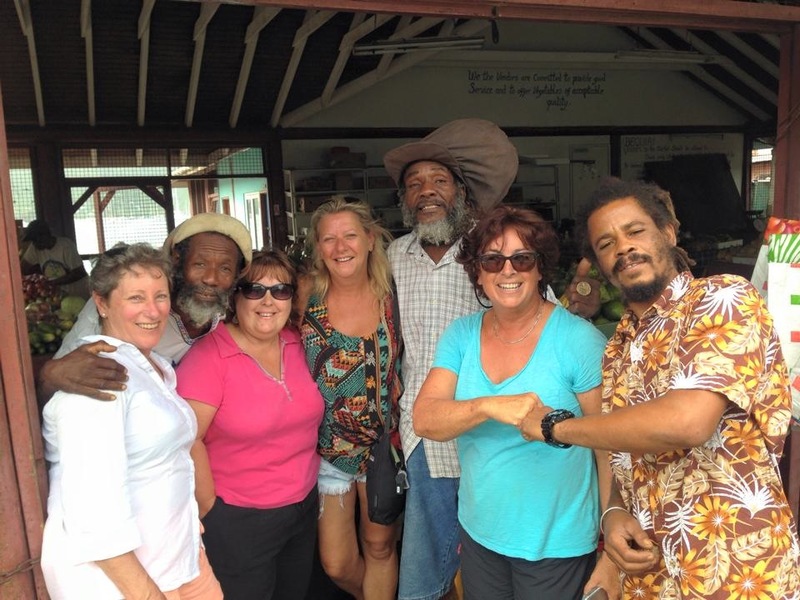 We also visited Lower Bay by taxi to seek out Jackie, a small dynamo of a woman with a wonderful Caribbean accent, who grows her own organic herbs and veggies. The selection was a bit limited, but we came back with some lovely thai basil, lemongrass and rocket, and enjoyed a walk along the beach. 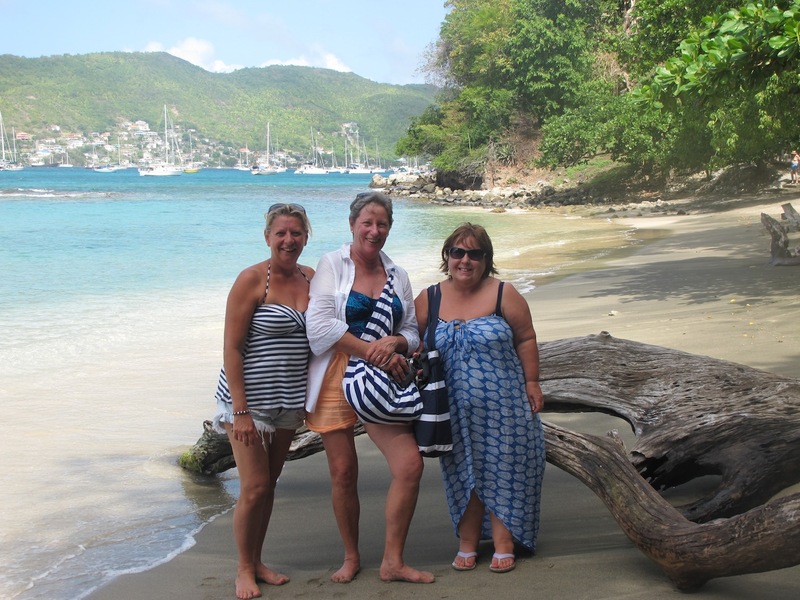 All too soon it was time to say thank you to the hospitable and fun Bequia, and continue down the island chain. 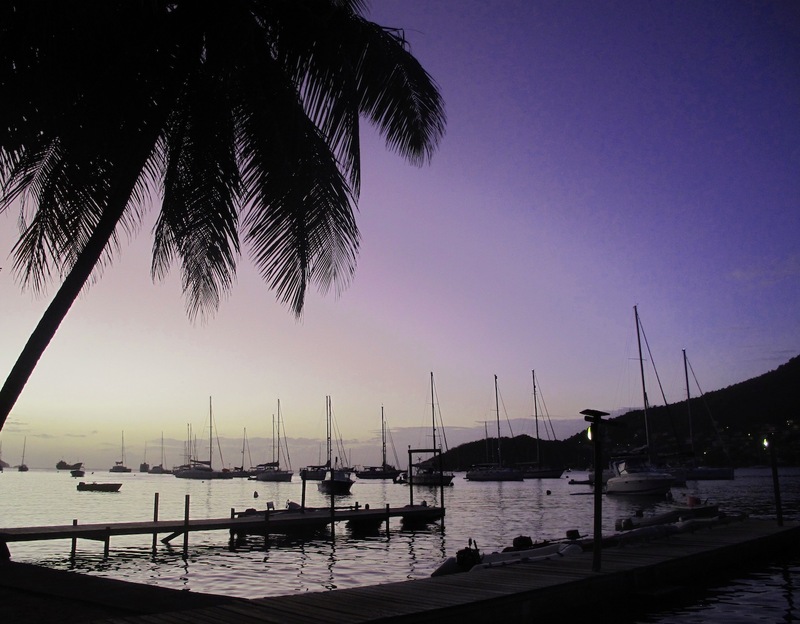 Next stop Canouan.